Enrollment records for 2015 indicate that Minnesota Conference schools are enjoying the highest enrollment in recent years. E – Experiencing Great Joy! We believe that the Adventist education system provides excellent academics, where our schools provide an environment that encourages character development. It is thrilling and indeed a blessing to see many families wisely making investments for Eternity in choosing where their young ones will attend school. Let’s all keep AWAKE with our EYES on eternity. 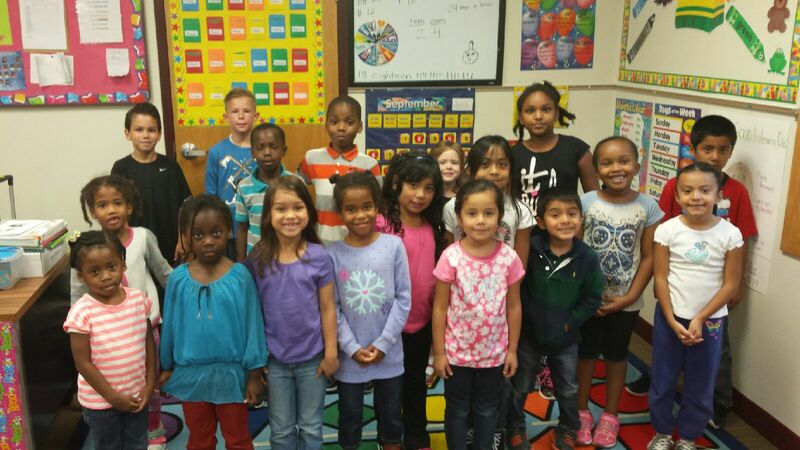 In 1996, Southview SDA Church in Minneapolis, MN, started the “Dream Project,” which was to create an elementary school that would hold sixty students. This project was led by Chris Kelly, the school board chair at the time. The first location was rented office space, and it started with one teacher and a handful of students. They were at that location until the official school building was finished in 2001. There were six students the first year in the new building. There are now 3 fulltime teachers, 1 fulltime teachers’ assistant, and 3 volunteers on staff who work with students in grades K4-10. However, this did not come about because of anything the teachers did. In every step of the way, the teachers have seen God working in this school and through their lives. During the past summer, the teachers had been praying that God would send the students who needed to be at Southview Christian School this year. They started the school year on Monday, August 17, 2015 with 48 students, and the potential of two more, one of whom showed up on Wednesday and the other one who started the following Monday. This fulfilled the goal of having 50 students for the year. At the beginning of the school year as the teachers were passing out the textbooks, they discovered that every single book publisher had sent more textbooks than had been ordered, and they couldn’t figure out why this had happened. It wasn’t worth sending the extra books back, so the teachers decided they would be able to save them and use them next year. Now they know that God ordered the textbooks for them! On the first Wednesday of school, Pastor G. Averalo (who has brought many students in the past) brought a new potential family. After talking with the teachers and seeing the school and students, that family went home and talked with three other families. All of them came Thursday and Friday to see the school and made the ultimate decision to enroll their children so they could start the following Monday. These four families together bought a van able to hold 10 students. The parents are taking turns driving these students to and from Southview Christian School each day. God’s hand was seen working as the placement of the ten students in the classrooms balanced out in such a way that all three classrooms are about equal to the number of students in each of them, which has never happened before. The original goal of the builders of Southview Christian School to have 60 students has been met. Southview Christian School was also built with the goal of being an outreach to the communities south of the Minnesota River. 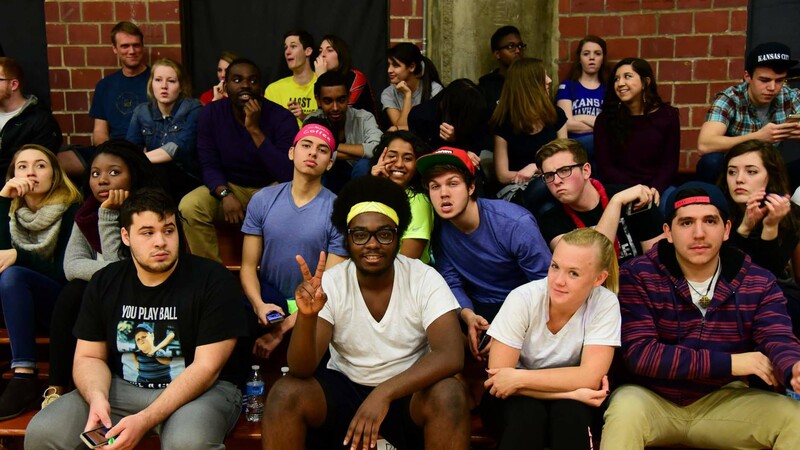 The gym is rented out each year to the South Metro Huskies, a homeschool basketball team group, and to the Celebration Church of Lakeville, MN, for their youth group recreation. The Southview teachers would like to thank all the church members of Southview Seventh-day Adventist Church and their sister churches, Shakopee, Richfield, Eagan, Minneapolis First Hispanic, and Ebenezer Fellowship SDA Church for all of their prayers and support for the school. The teachers know the sacrifices that have been and are being made in order to make this school a reality and allow it to continue to grow. They truly feel God’s blessing in everything that has taken place since the beginning of this school year and in years past. Praise God from whom all blessings flow! Autumn days in Minnesota are always somewhat unpredictable. 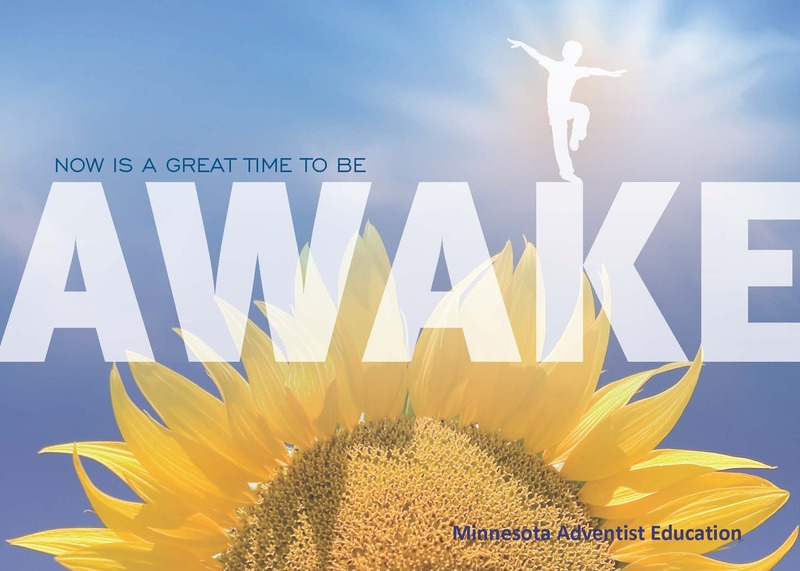 This year, the middle of September presented an amazing background for what has become an annual Minnesota Conference of Seventh-day Adventist Education Department’s Outdoor School held at North Star Camp. 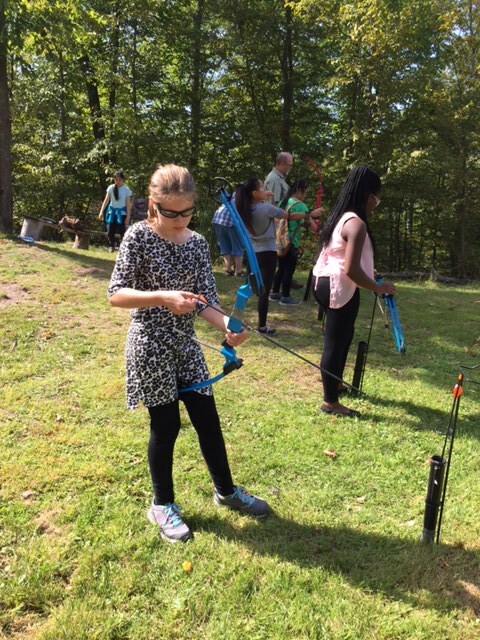 There were 75 students in grades 5-8 from our SDA elementary schools and 31 adults were welcomed by the tranquil lake, flowers, wildlife, sunshine, warm weather and cool breezes rustling tree leaves. Why Outdoor School? 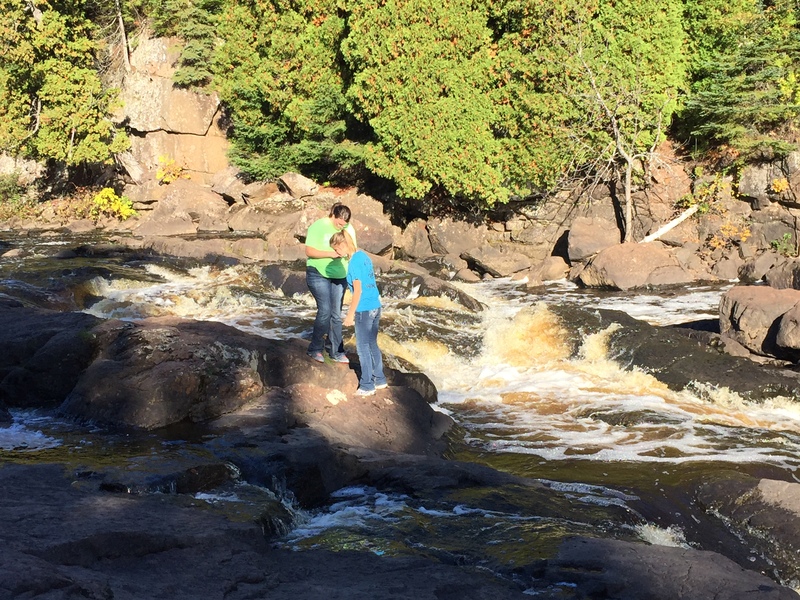 Imagine studying Minnesota habitats and other scientific concepts out in nature’s lab. Some of our schools are very small and another important aspect of this event is that the students spend time getting to know each other as they participate in various events. The most important reason has to do with experiencing God in His creation. This year’s spiritual theme had to do with living the Christian life and following in God’s footsteps. A couple of hikes reinforced this concept too. The kids were sometimes grouped by grade level and the opportunity to get to know their cabin-mates better at meals and afternoon activities. 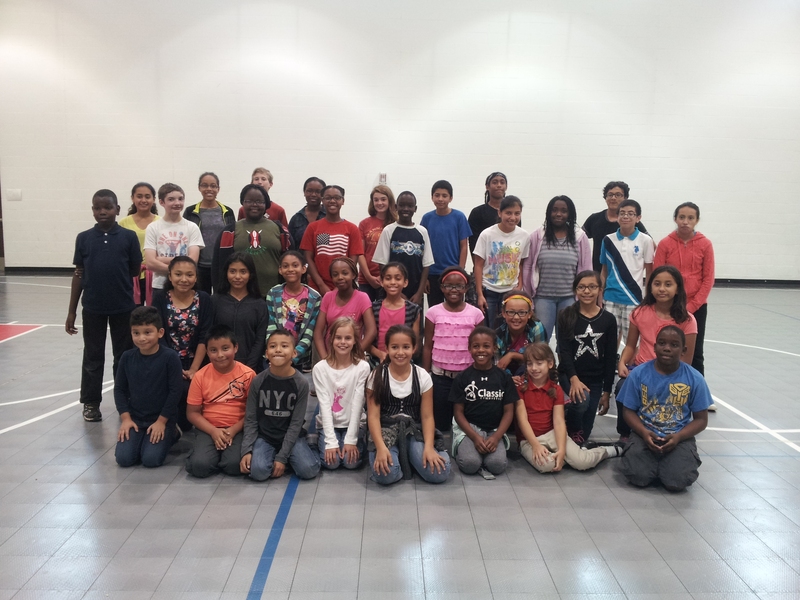 Some students preferred the outdoor recreational activities like capture-the-flag, basketball and 9-square. Others loved the canoeing, rock climbing, and archery. Some found pleasure and opportunity for artistic expression through photography and painting animals on smooth rocks. North Star Camp is a prime location for this endeavor. This dawn-to-dark studying, playing, moving, and worshiping for the major part of four days wore a lot of people out, but many smiles and dreams of next year’s outdoor school accompanied the students traveling home. 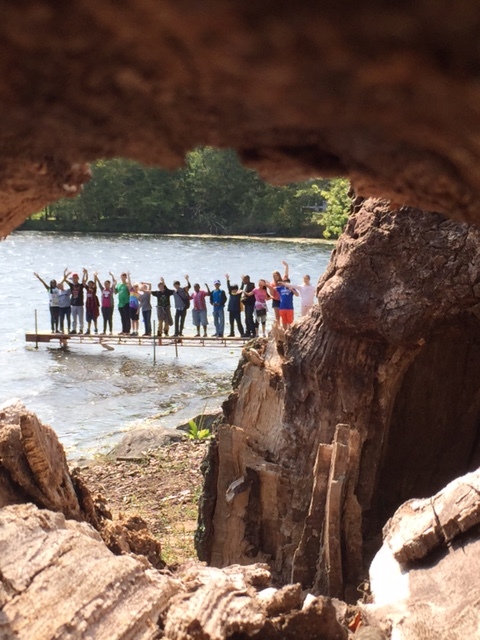 Maplewood Academy took a group of students to the beautiful Minnesota North Shore for an Outdoor Education class this autumn. Students learned camping basics, such as how to start a fire, pitch a tent, prepare meals and stay safe in the woods. The fall leaves were almost at their peak color, creating a gorgeous backdrop for the hiking trails which the students explored – Oberg Mountain, Day Hill, and the Superior Hiking Trail. Though the autumn air was cool and crisp at night, the fire was warm and the views of Lake Superior from the campsites were enough to make one stop and thank God for His amazing creations! Maplewood Academy has revived our farm program under the leadership of Terry Nennich, Maplewood’s Vice Principal for Finance. Terry, who was raised in an agricultural family, led out in planting a variety of fruits and vegetables on about 5 acres this past spring, to both sell to the community and supplement our own cafeteria supply. Students assisted in planting as well as weeding and caring for the crops over the summer, and now are actively involved in the fall harvest. Crops include an acre of sweet corn, quarter acre of potatoes, and hundreds of tomatoes, peppers, cucumbers, broccoli, cauliflower, cabbage, squash and pumpkin plants and much more. Also, much of the work this summer has gone into growing almost 2 acres of strawberries, which will be harvested next June with student labor as well as U-Pick. 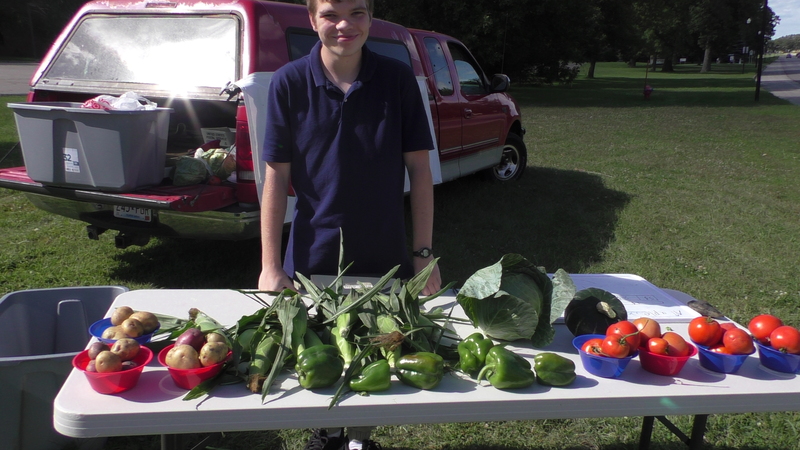 It has been a unique experience for these students, many of whom have never been on a farm (or even in a garden), to work outdoors seeing how things grow and what is involved. The Lord has blessed, and the fall harvest has gone very well. 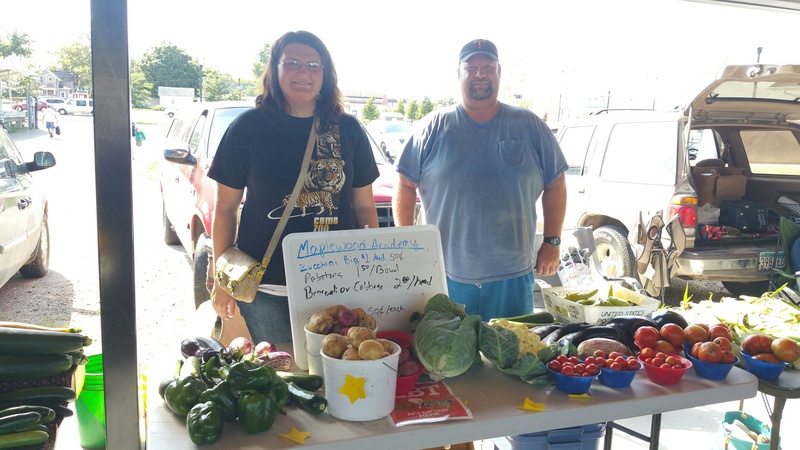 So far over $2000 of produce has been used in the cafeteria this school year, and Terry, along with several students have sold part of our harvest at our local farmer’s market on Wednesdays as well as from a vegetable stand set up on the Maplewood Academy campus. Many community members have enjoyed purchasing our vegetables and we have developed quite a reputation for our awesome sweet corn! 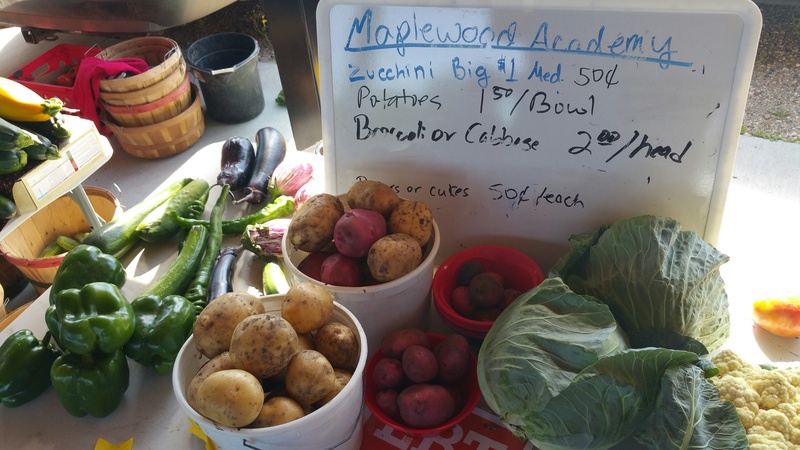 Not only have we been able to share our harvest with the community but many of our customers have asked about Maplewood Academy and who we are. It is has given us a platform for conversation about Adventist Education and our existence in our community. Reviving our farm has been an exciting adventure for our school and community through the sharing of our harvest and sharing our mission. We are excited to see how things “grow” in the future! 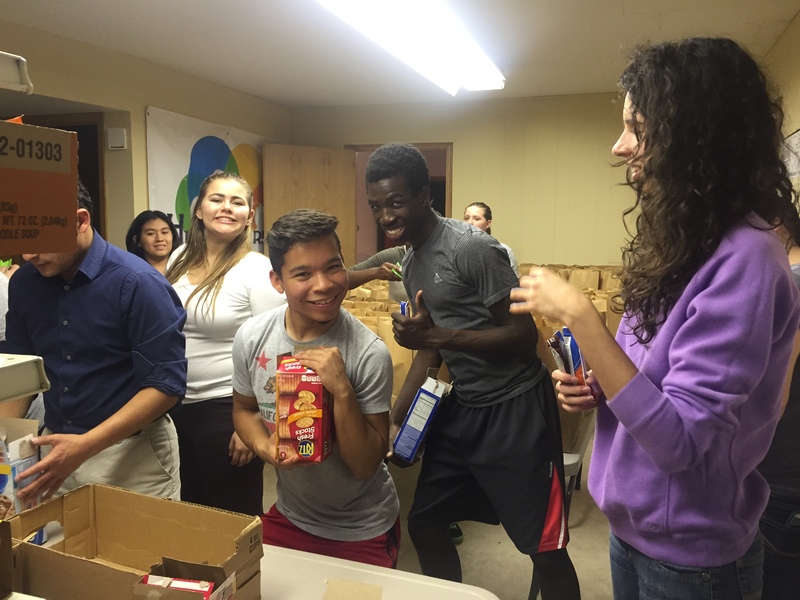 In October 2015, 30 Maplewood students and faculty members piled into the small Common Cup office to pack meals for 300 kids in the Hutchinson community. A program called “Hunger Free McLeod County” supplies weekend meals for 300 Kindergarten to3rd graders who come from low income families in the cities of Hutchinson and Glencoe. Our eager group packed 300 bags of food with enough goodies to last an entire weekend. After the bags were packed, they were sent to area schools where teachers could slip the lunch bags into the students’ backpacks – giving this project it’s nickname, The Backpack Program. Is the Cost of Private Christian Education Worth it? This summer, I met with a lady in one of our churches, and we talked about Christian education. As I listened to her attentively, I understood that she is a Christian lady and she understands that Christian education is important. She recently attended College Days at Union College, and was very impressed with all that she experienced, but then she said to me, “We can’t afford it”. I began to wonder, “Is the cost of private Christian education worth it?” I really can’t answer that question for every parent who is pondering where to send their children for college. I know that different people face different financial situations. All I can say for certain is that Adventist education is critical for the future of the church and our faith community. Now I assume that when you’re a Seventh-day Adventist, you want your children to be taught about God by godly teachers, right? 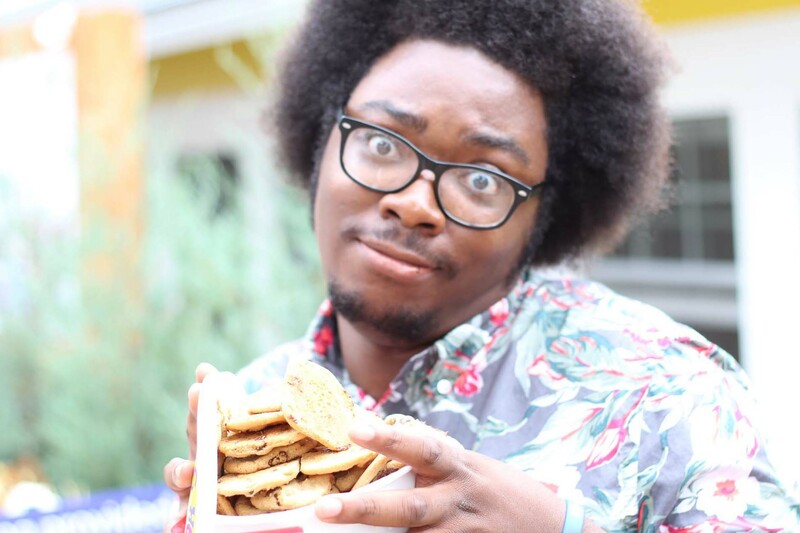 The two issues that where paramount on my mind when our first son reached college age was, first of all, where would we send him to get the best academic achievement? Secondly, where will he find an environment best suited for him to develop into a mature Seventh-day Adventist Christian? Now I will confess that, for economic reasons, I had tried public education with our boys. But I discovered an indisputable truth through that experience: education is not neutral. Every school teaches particular values, which they believe are important, and which forms the basis of what they perceive as education. I discovered that public education system is no exception to this truth. As a parent, I discovered that in our children’s mental and spiritual development, there was a philosophical disconnect in their minds that we had to bridge because they attended public school. We constantly had to help them cross between the humanist philosophies of their school and Adventist beliefs of our home. I began to worry ,when I saw how during these formative years, my children begun to think, use logic, and to make applications in their decision making processes, all to reach conclusions that had lifelong consequences. As a parent I can say that my son’s experience at Union has been worth it all. Brian Jr was very pleased with his choice of Union. So I asked him about the spiritual atmosphere on campus. “Well I have definitely grown spiritually. I have been blessed by the many worship experiences offered on campus. Now, I will say that I did not always go to College View Church. I have tried to go to other churches in the area or other programs, in order to have a larger view of the church that has been enriching for me.” I was impressed with my son’s desire to see the whole church in action by visiting different churches and attending different church programs. I am aware that I have not answered the question “Is the cost of private Adventist Christian education worth it?” All I can say is this: Think about the fact that this generation will be the leaders running the church and the world in a few years. Don’t you think it’s important to put your child in an environment where the teachers and the philosophy of teaching support all the values you see as important, values that you have implanted in your child, in the first few formative years? Don’t you want your child to be in an environment where he or she can interact with likeminded peers? In concluding our conversation, Brian Jr. looked at me and said, “Dad I will miss being at Union, being surrounded by people I know, people I can talk to easily.” Brian Jr. will be moving on to Walla Walla University to pursue an engineering degree. As a parent talking to another parent (i.e. the lady in one of our churches) I concluded that I think that the question of value trumps the question of cost. Yes, there are parents who may think that their children need a real world education. I would counter that maybe what we need to consider is a real world education that includes a next world education. We need to develop graduates who will serve the church and society in this world, while keeping their EYES on eternity by preparing for life in Heaven. Now in light of eternal value, I will challenge every family to commit to Adventist Christian education. As for me and my family, Union College is a better option.